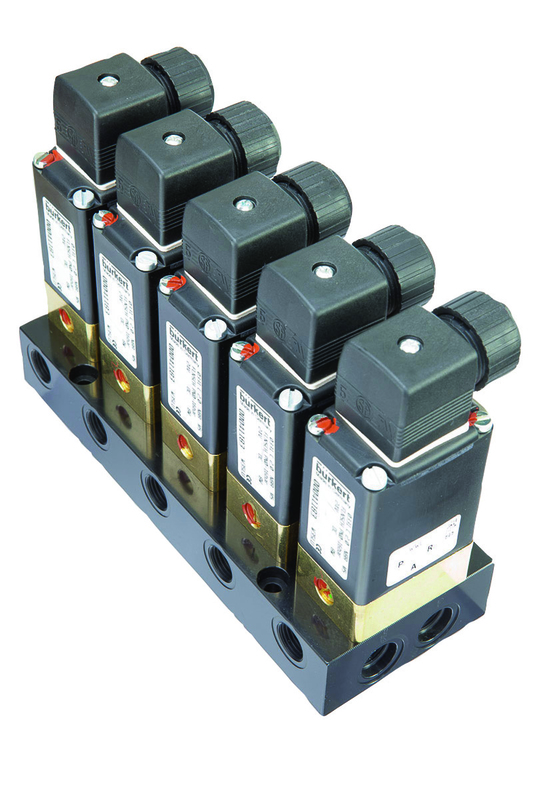 The extremely versatile pivoted-armature solenoid valve has been providing cost effective, reliable process control solutions ever since Christian Bürkert's original design was conceived nearly 50 years ago. 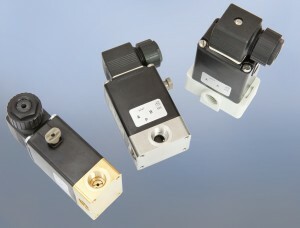 Compared to the plunger-type versions, pivoted-armature solenoid valves from Bürkert have all three port connections integrated in the body of the valve, which places them all in the same plane, making connection design easier. The valves are equipped with a lockable manual override as standard and have the option of a visual position indicator or an electrical feedback. Available in 2/2 or 3/2 way configuration, the design uses an isolating diaphragm, which ensures that no fluid is allowed to enter the armature chamber. This innovative solution makes the pivoted armature valve more resistant to contamination than the plunger-type valve. It also offers a higher resistance against aggressive fluids and provides a longer service life, even in non-lube conditions. All of the materials used in the construction of Bürkert valves are carefully selected to suit a variety of applications. Body and seal materials are chosen to optimize functional reliability, fluid compatibility, service life and cost. Additional options are available with regard to material specification, depending on the application, and can be discussed with the engineers at Bürkert. The valve can also be customised to suit a wide variety of specialist applications, configured with different seal materials and arranged in a multitude of circuit functions. This is particularly suitable for switching extremely pure gaseous and liquid media. All contaminated parts are subjected to additional purification processes, so that the media is not contaminated under any circumstances. The assembly of this valve takes place under cleanroom conditions to ensure the design is not compromised. 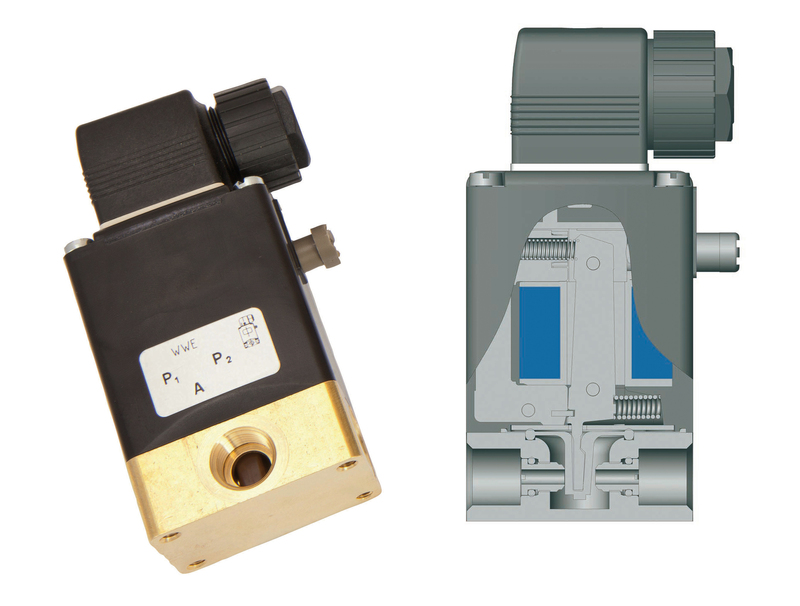 One such analysis version is the direct-acting 2/2-way lifting armature valve, Type 6013, is a push-over solenoid system AC10 offering compact design (up to DN 6) and comes in G3/8, NPT3/8, SFB sub-base versions. The pilot-controlled 3/2-way valve Type 0344, with a smoothly operating servo-piston, requires a differential pressure of 0.25 bar for complete opening and closing. In the circuit functions NC and NO, it is particularly suited for use with neutral gases with low pressures and for technical vacuum, even with dry running. The Type 6013 A is a high-quality small solenoid valve for analysis and vacuum technology. It is manufactured under clean-room conditions. This includes thorough cleaning of all parts in contact with media from organic and inorganic substances. The limit for residual hydrocarbons is below 0.2 mg/dm². The valve will undergo an external 100 per cent nonstandard leakage test with respect to seat tightness and impermeability. The permissible leakage rate is 10-4 mbar l/s. The valve is used for shut-off, dosing, filling, ventilating and particularly for analysis technology. All three fluid ports in one plane. Media separation on standard design. AC, DC and UC versions available. Visual or electrical position feedback optionally available. Conditionally suitable for aggressive media as well. For more information please visit Bürkert’s Author Profile.